Friday, October 18, marks the nationwide release of Seasons of Gray: A Modern Day Joseph Story and we couldn’t be more excited! Be sure to check out Watermark senior pastor, answer the question “Why Would A Church Make A Movie?” as well as The Dallas Morning News’s interview with Paul Stehlik, director of the film. We encourage you to make a trip to the movies this weekend and see the film with friends, family, or your community group. Seasons of Gray is also a great tool to help you have spiritual conversations with your unbelieving friends or family members, and we’ve included some discussion questions below to help you have those conversations. Our hope for Seasons of Gray is that it’s much more than just a film, and that it reminds you of the great hope found in Jesus Christ. 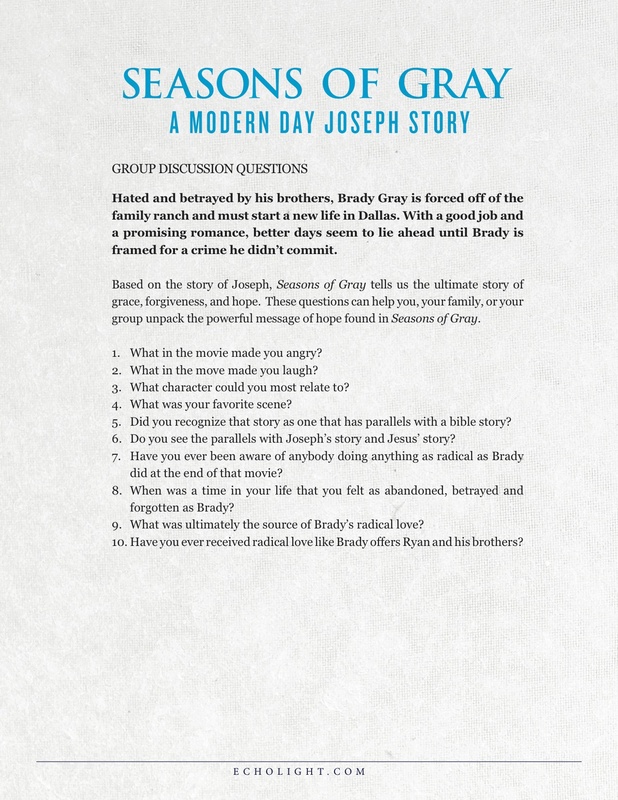 We’ve attached some questions to help you think through the themes in the film, and apply the truths of God’s Word to your life. Feel free to click on the following links to print them out; and use them as you’d like. You can download, and print the questions by clicking the links below. If you’d like to help us spread the word about Seasons of Gray, be sure to check out this link to find web banners, Facebook timeline photos, and more! We think you’ll be blessed by Seasons of Gray; and hope you’ll take a few hours to check out the film this weekend. Afterwards, we’d love for you to leave a comment below and let us know your thoughts! 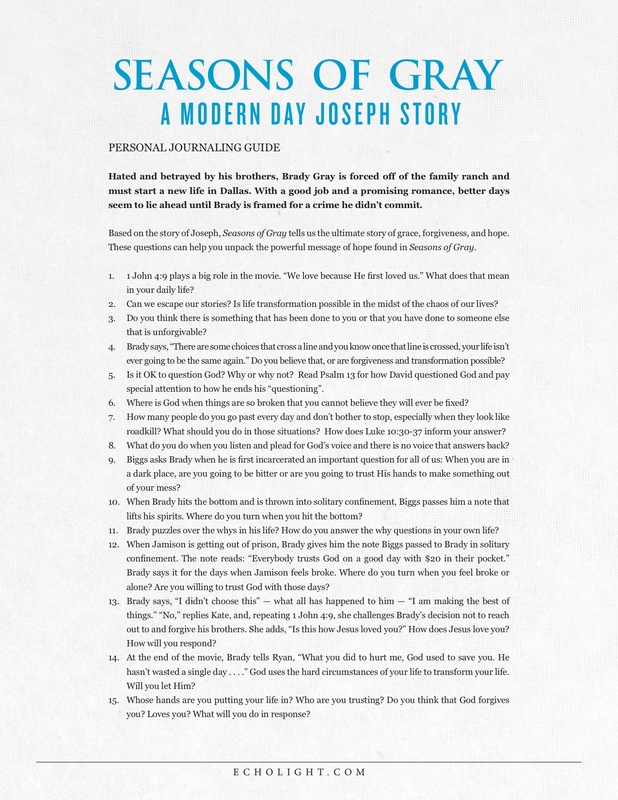 The post Seasons Of Gray: A Modern Day Joseph Story – Here’s Everything You Need To Know appeared first on Watermark Community Church Blog.